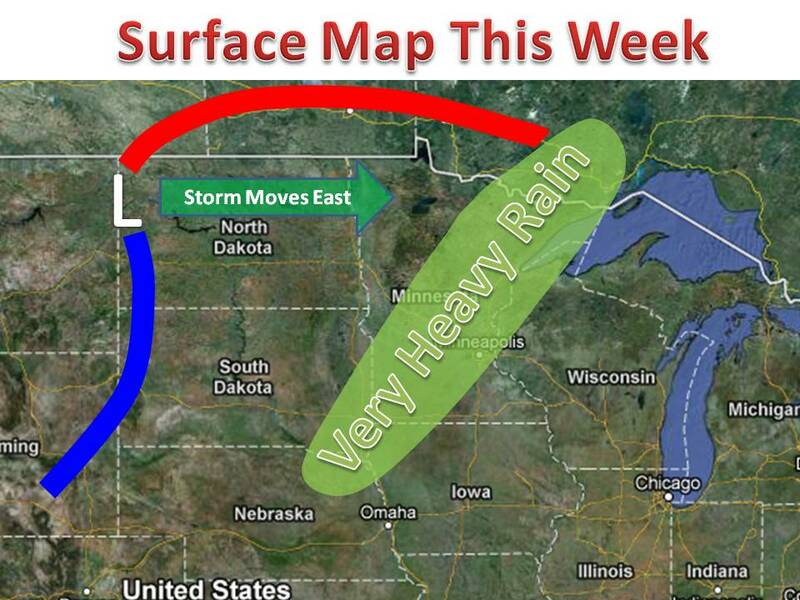 A slow moving storm system currently in the Upper Plains will be a strong weather maker in the midwest the week. As a strong upper level wind strengthens today, it will cause a fairly high dose of severe weather, especially in North Dakota. The primary threat being large hail, and gusty winds. The storm will then continue to slowly move east and drag cold air with it. The cold air will be along a front that will interact with warm air rushing north to cause severe weather in the midwest (see map). Again large hail is the main threat. Along with the severe weather threat comes very heavy rain. A general 1-3" can be expected in the outlined area with some spot easily reaching 4" depending in the individual thunderstorm tracks. Be prepared if you live in a flood pron area. 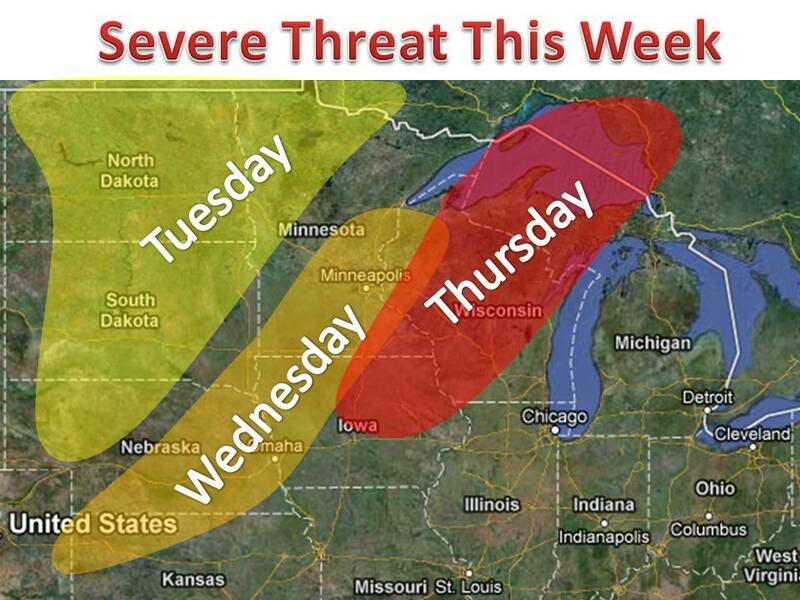 And on Thursday the severe weather shifts east again. Conditions will not be as favorable for the heavy rain, but large hail seems likely again. Stay tuned for updates and be sure to monitor the latest watches and warnings throughout the week!